Welcome to the companion website to David Smith's If the World Were a Village. This site provides links to additional population and global information, interactive activities for your enjoyment, and updates to the data found in the book (there are no updates at present). If the World Were a Village DVD - AVAILABLE NOW! The animation of If the World Were a Village is available as a DVD or as a VHS tape, in English or in French, at reasonable prices. To see a clip from the video, please click here. 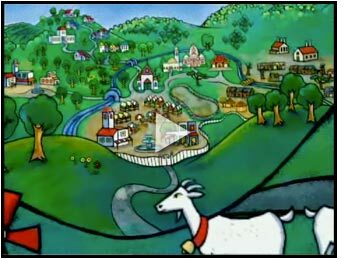 Alliance for Children And Television -- 2007 Award of Excellence for the video version of If the World Were a Village. Visit the ACT website, or read the commendation by clicking here (pdf) . 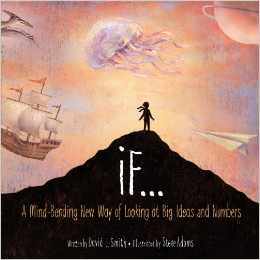 Smithsonian Magazine "Notable Book of the Year"
A Math teacher at a charter school in Michigan is using "If The World Were A Village" for all kinds of activities and extensions. Read Here about her plan, her lessons, her students' reactions. The A&C Black website has a wonderful follow-up page with activities and information based on the UK's Key Stages. The Population Reference Bureau has reliable online data in their Population Data Sheets. Lots of other good population-related info on their site too. The World Resources Institute pulls together a lot of nice information, some of it relating human and environmental conditions. The United Nations maintains a vast amount of population and other information. Be sure not to miss their interactive educational site, The Cyber School Bus.